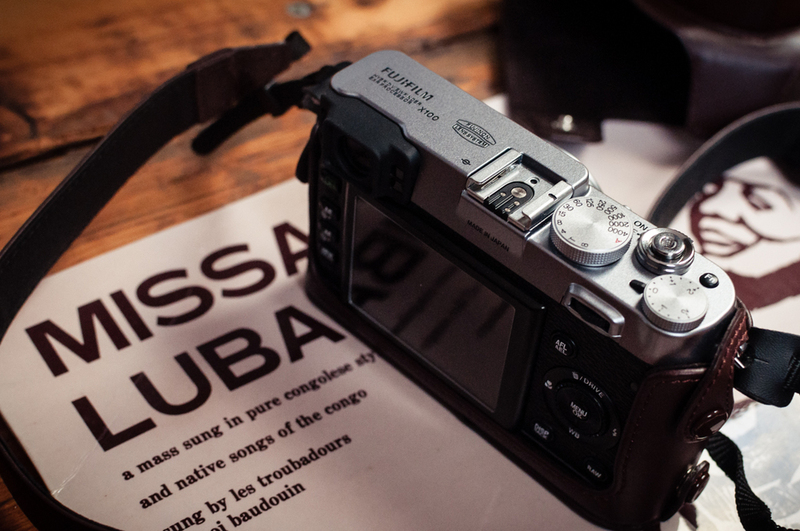 Today I introduced myself to a new camera - the Fujifilm X100. This camera has been in my mind for some time and I'm really excited having finally managed to score a good deal on one from Fujifilm's refurbished line - it came in a fair bit cheaper than the recommended retail price! If you're at all familiar with the camera world, this came out in 2011 amid much fanfare due to is revolutionary hybrid viewfinder, its stunning lens and the filmic quality of its sensor and most of all due to the old school design of its aperture and shutter dials. In the looks department it gave Leica a run for their money and if it wasn't really a rangefinder, it sure had all the heart and soul of one. It wasn't entirely a smooth launch however. It was released with a menu incomprehensible to most seasoned photographers, terrible manual focusing, slow focusing and lousy start-up times. Well I'm happy to say that with all the firmware updates over the last couple of years the kinks have been ironed out and now the X100 is almost on parr with its younger, more expensive and highly-rated sibling the X100s. But for me the X100s' sixteen megapixels and better manual focus weren't enough to lure me away from its cheaper, older ancestor. Twelve megapixels is fine unless printing huge exhibition sized prints anyway, and besides I preferred the fine natural film grain of its high iso setting. This camera won't be replacing my D90 which will still accompany me to gigs and events. But it will become my everyday walk-around camera and will be perfect for street photography. I'm really excited on trying it out on the slick wet streets of Cardiff, as I have seen so many instances of great street work done with the X100. Apparently its also supposed to perform beautifully with its jpegs, and seasoned users rarely opt for the RAW digital files. Well... I'm not ready to give up the flexibility of working with RAW just yet, but I guess the proof will be in the pudding. Here's a few shots of it out of its box and a self portrait from my first fumbled efforts at working out how it functions. A far cry from my Nikon, I can tell you! Dials are functional AND beautiful. It's not just a retro design choice, it's commonsense. Atop one of my fave records. If you've seen the 1960's film 'If...' starring Malcolm McDowell, it's the one he listens to as he makes love to the girl in the motorway service station. In the cafe. Like a lion. In his head. The back is well laid out but the plastic menu buttons are slightly fiddly... a far cry from the D90's chunkies. A man with a lot to learn about this camera. Photograph straight-out-of-camera with the ASTIA setting. Expect more thoughts on the X100 when I get my head around it. One thing's for sure, I'll be taking this around with me many a lunch-time in the town centre!